thought I would redo it with different products and my (hopefully) improved skills. 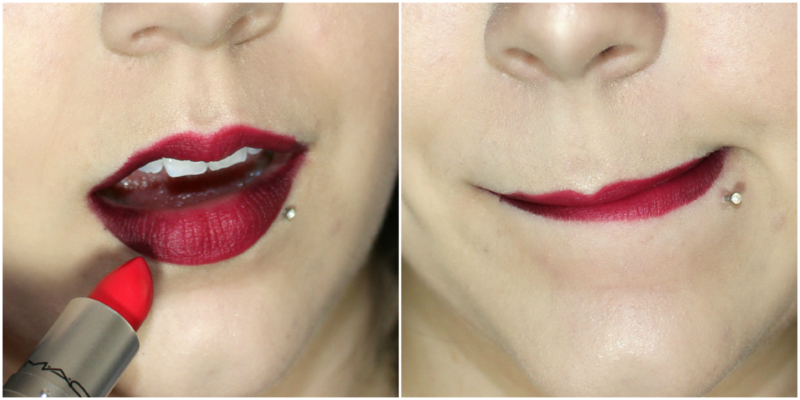 Here's how I use an ombre' to make my lips look fuller. 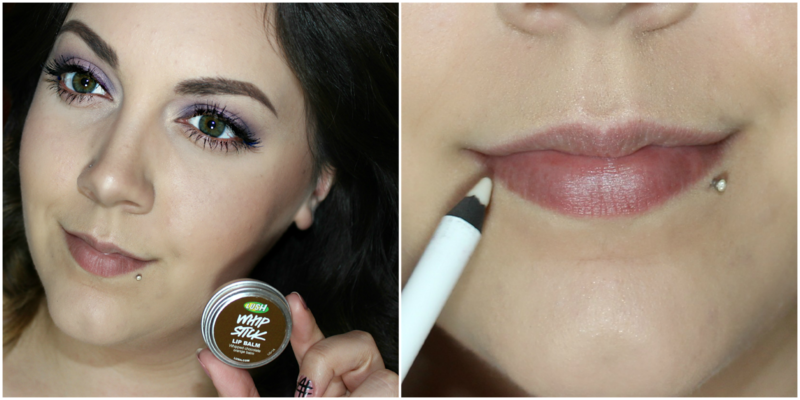 I prep my lips with my favorite lip balm Whip Stick from Lush Cosmetics. Once that has had time to sink in I line my lips with O-Zone from Urban Decay. 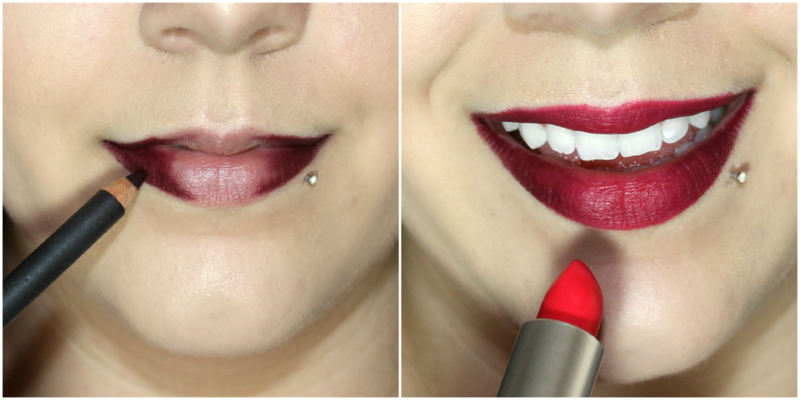 Then I take Nightmoth lip pencil from MAC to fill in the outer corners of my mouth. Then I used Relentlessly Red from MAC's Retro Matte line and rub my lips together a bit. I then go back in with another coat of lipstick and blend inward and then rub my lips together. I went in with a lipstick brush and some concealer to clean up the edges and I'm done!